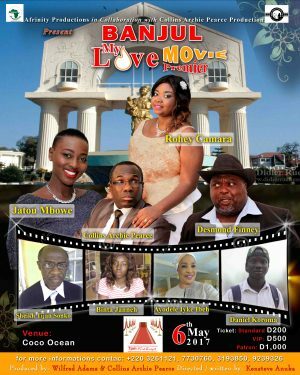 The most awaited movie “Banjul My Love” produced from the cradle of Afrinity Productions and Collins Archie Pearce productions is set to be premiered in The Gambia on May 6th 2017 at the prestigious Coco Ocean Resort and Spa. Ticket prices goes down for Standard D200, VIP D500 and Patron D1,000. The last year event “Special Movie Awards” gave birth to the movie “Banjul My Love” in other to promote the beautiful coast and culture of The Gambia. Our International guest Desmond Finney from Sierraleone, Collins Archie Pearce from United Kingdom who also graced the award event last year starred in this beautiful movie directed by Kensteve Anuka, a veteran director from Nigeria. Home based Actors and Actress Jatou Mbowe, Rohey Kamara, Sheikh Tijan Sonko, Binta Janneh and many others also stared. Collins Archie- Pearce a multi- award winning movie producer, actor, the founder/ CEO of Archie-Pearce Production Ltd; was born in Freetown Sierraleone, West Africa in the mid-sixties. He was the first of three children and had spent the first 25years of his life in Sierra Leone where he attended the Albert Academy and Fourah Bay College studying Economics. He preceded to United Kingdom in 1991 and got married years after and blessed with three children and one grandchild. Presently Collins Archie- Pearce is also a senior Manager at the London Underground Ltd with twenty years of managerial experience heading the managers on the Bakerloo line. He also received “Best Foreign Producer 2016” in the Special Movie Awards organized by Afrinity Productions. He played the role of “SMITH” a young man who travelled from abroad to the UK to the smiling coast of Africa The Gambia in search of love. He got disappointed initially by “HAJARA” played by Jatou Mbowe his supposed love but later found true love with “BANJO” played by Rohey Kamara. Desmond Finney is a veteran multi – talented Sierraleone movie star. 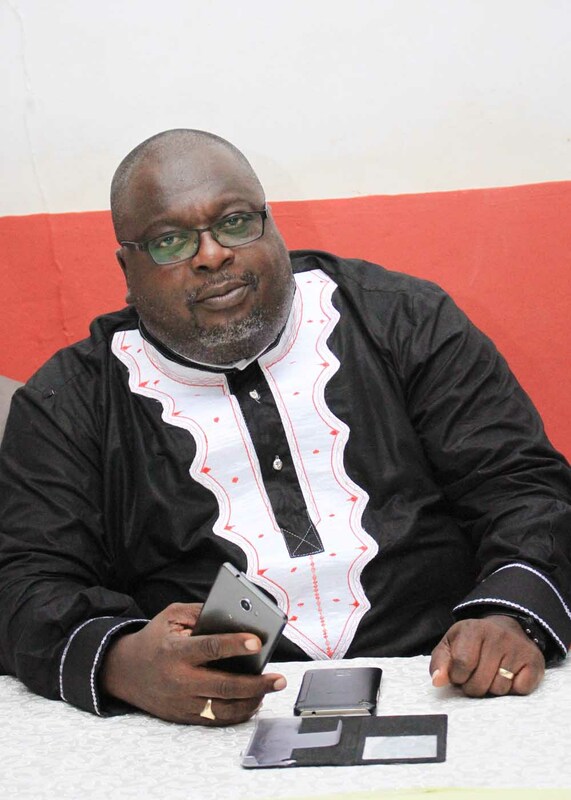 A graduate from Fourah Bay College, Sierra Leone, Desmond Finney has been in the field of acting directing and producing spanning a period of 20 years. He has appeared in over Forty African movies and was nominated Best Newcomer for the African Movie Awards ‘Zafaa’ in the United Kingdom ,Best supporting Actor by the Giama awards in Houston Texas and won Best Actor AWOL Sierra Leone . He was also nominated as best actor for the ‘Ansev Movie Awards’ in Sierra Leone and his movie ‘Diamond Wahala’ has won two awards as best comedy at the Sierra Leone International Film Festival and the Ansev Movie Awards. He also had an award for “Best Foreign Actor” at the Special Movie Awards in The Gambia organized by Afrinity Productions. 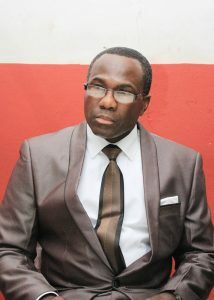 He starred as “KONTE” in the movie “Banjul My love” where he plays a drug lord and is arrested at the end of this movie.